Karthigai deepam 2017 is on Dec 2 this year. 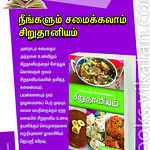 I have posted many recipes for Karthigai deepam festival. Traditionally pori urundai, appam, milagu adai is made for Karthigai deepam. 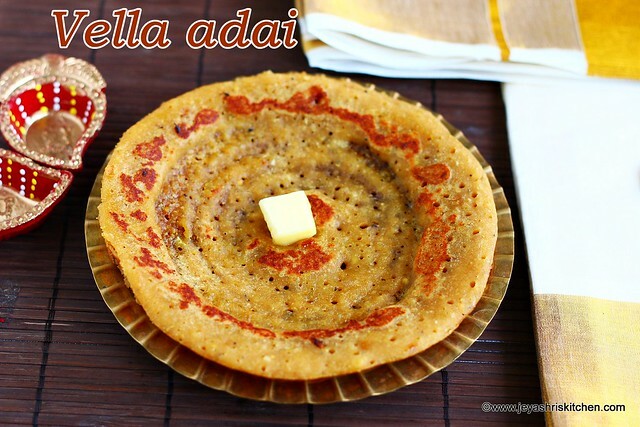 Vella adai is made with rice, toor dal, channa dal and jaggery as the main ingredients. 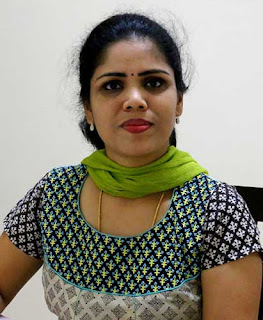 You can soak in more quantity for both milagu adai and vella adai and in the last divide the batter and add jaggery to vella adai and pepper to the milagu adai. These adais turned out so well and the sweet was just perfect for the taste buds. 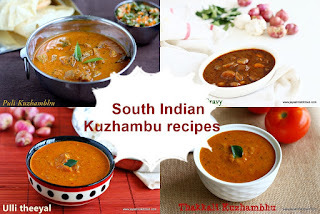 Check out my full collection of Karthigai Deepam recipes. Soak rice and dal in a wide vessel, in water for an hour. Drain the water and grind this with little water. 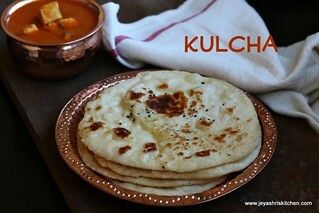 When it is almost done add the powdered jaggery to this. Pulse this once and transfer this to a vessel. The mixture should not be a fine paste but slightly coarse. Add pinch of salt,cardamom powder and coconut to this. 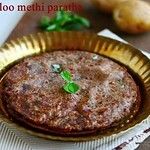 You can start making the vellai adai immediately. Heat a pan and add one full ladle of batter to this. Make a circle and put a hole in the center. Do not spread this like a thin dosa. Let this be slightly thick. 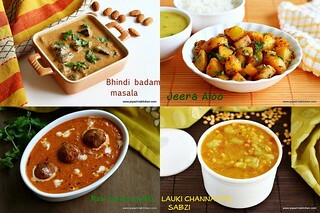 Add some ghee around this. 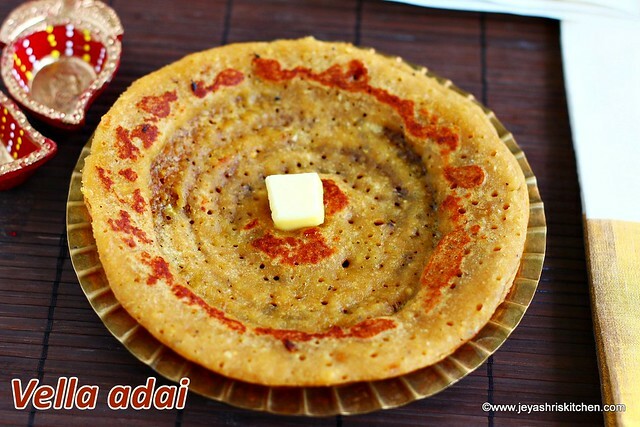 Once it is cooked on one side, flip the adai. 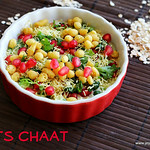 If needed add little more ghee. Take out from the pan when it is done on both the sides. Vella adai is ready for neivedhyam. 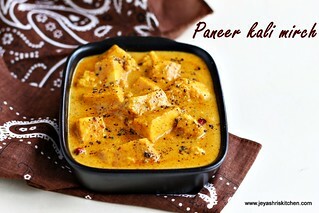 I added 1/4 cup of jaggery first and felt it is very less and added 2 tblsp extra. 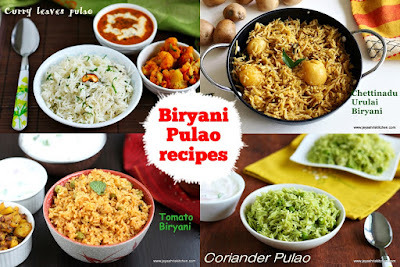 Instead of grated coconut you can add finely chopped coconut. This will enhance the taste.